شکری, وحید, اسماعیلی, کاظم. (1397). مقایسه مدل های دو سیالی یک بعدی در پیش بینی متغیر های جریانهای دو فازی گاز-مایع در لوله عمودی و تعیین مدل مناسب. نشریه پژوهشی مهندسی مکانیک ایران, 20(4), 26-53. وحید شکری; کاظم اسماعیلی. "مقایسه مدل های دو سیالی یک بعدی در پیش بینی متغیر های جریانهای دو فازی گاز-مایع در لوله عمودی و تعیین مدل مناسب". نشریه پژوهشی مهندسی مکانیک ایران, 20, 4, 1397, 26-53. شکری, وحید, اسماعیلی, کاظم. (1397). 'مقایسه مدل های دو سیالی یک بعدی در پیش بینی متغیر های جریانهای دو فازی گاز-مایع در لوله عمودی و تعیین مدل مناسب', نشریه پژوهشی مهندسی مکانیک ایران, 20(4), pp. 26-53. شکری, وحید, اسماعیلی, کاظم. مقایسه مدل های دو سیالی یک بعدی در پیش بینی متغیر های جریانهای دو فازی گاز-مایع در لوله عمودی و تعیین مدل مناسب. نشریه پژوهشی مهندسی مکانیک ایران, 1397; 20(4): 26-53. با استفاده از مدل دوسیالی و روش عددی تسخیر شاک پایستار، یک روش برای شبیه سازی جریانهای دو فازی ارائه شد. مزیت این روش نسبت به روشهای متداول، پیشبینی مکان فصل مشترک بدون مدلسازی است. مدل تکفشار به دلیل وسیعتر بودن محدوده خوشرفتاری نسبت به مدل مستقل از فشار و پخش عددی کمتر نسبت به مدل دوفشار، مدل قدرتمندتری است. در مدل دوفشار1، با انتخاب 0، 0000001/0، 000001/0، 00001/0، 0001/0، و 001/0 برای ضریب تعدیل فشار، نشان داده شده با بزرگ شدن این پارامتر، نتایج مدلهای دوفشار1 و 2، به هم نزدیک میشوند. Štrubelj, L., and Tiselj, I., "Numerical Simulations of Basic Interfacial Instabilities with Incompressible Two-fluid Model", Nuclear Engineering and Design, Vol. 241, pp. 1018-1023, (2011). Omgba-Essama, C., "Numerical Modelling of Transient Gas-liquid Flows (Application to Stratified & Slug Flow Regimes)", Ph.D. Thesis, Department of Applied Mathematics and Computing Group, Cranfield University, Cranfield, (2004). Watson, M., "Non-linear Waves in Pipeline Two-phase Flows", In: Proceeding 3rd International Conference on Hyperbolic Problems, Sweden, pp. 11-15, (1990). Stuhmiller, J., "The Influence of Interfacial Pressure Forces on the Character of Two-phase Flow Model Equations", International Journal of Multiphase Flow, Vol. 3, pp. 551-560, (1977). Ransom, V. H., and Hicks, D. L., "Hyperbolic Two-pressure Models for Two-phase Flow", Journal of Computational Physics, Vol. 53, pp. 124-151, (1984). Saurel, R., and Abgrall, R., "A Multiphase Godunov Method for Compressible Multifluid and Multiphase Flows", Journal of Computational Physics, Vol. 150, pp. 425-467, (1999). Ansari, M., and Shokri, V., "Numerical Modeling of Slug Flow Initiation in a Horizontal Channels using a Two-fluid Model", International Journal of Heat and Fluid Flow, Vol. 32, pp. 145-155, (2011). Bonzanini, A., Picchi, D., and Poesio, P., "Simplified 1D Incompressible Two-fluid Model with Artificial Diffusion for Slug Flow Capturing in Horizontal and Nearly Horizontal Pipes", Energies, Vol. 10, pp. 1372, (2017). Holmås, H., "Numerical Simulation of Transient Roll-waves in Two-phase Pipe Flow", Chemical Engineering Science, Vol. 65, pp. 1811-1825, (2010). Holmås, H., Sira, T., Nordsveen, M., Langtangen, H., and Schulkes, R., "Analysis of a 1D Incompressible Two-fluid Model Including Artificial Diffusion", IMA Journal of Applied Mathematics, Vol. 73, pp. 651-667, (2008). Woodburn, P., and Issa, R., "Well-posedness of One-dimensional Transient, Two-fluid Models of Two-phase Flows", In: Proceeding 3rd International Symposium on Mulitphase Flow, ASME Fluids Engineering Division Summer Meeting, Washington, pp. 112-119, (1998). Evje, S., and Flåtten, T., "Hybrid Flux-splitting Schemes for a Common Two-fluid Model", Journal of Computational Physics, Vol. 192, pp. 175-210, (2003). Paillere, H., Corre, C., and Cascales, J. G., "On the Extension of the AUSM+ Scheme to Compressible Two-fluid Models", Computers and Fluids, Vol. 32, pp. 891-916, (2003). Evje, S., and Flåtten, T., "Hybrid Central-upwind Schemes for Numerical Resolution of Two-phase Flows", ESAIM: Mathematical Modelling and Numerical Analysis, Vol. 39, pp. 253-273, (2005). Han, P., and Guo, L., "Numerical Simulation of Terrain-induced Severe Slugging Coupled by Hydrodynamic Slugs in a Pipeline–Riser System", International Journal of Heat and Fluid Flow, Vol. 56, pp. 355-366, (2015). Munkejord, S. T., "Comparison of Roe-type Methods for Solving the Two-fluid Model with and without Pressure Relaxation", Computers and Fluids, Vol. 36, pp. 1061-1080, (2007). Shokri, V., and Esmaeili, K., "Comparison of the Effect of Hydrodynamic and Hydrostatic Models for Pressure Correction Term in Two-fluid Model in Gas-liquid Two-phase Flow Modeling", Journal of Molecular Liquids, Vol. 237, pp. 334-346, (2017). Zeng, Q., Aydemir, N., Lien, F., and Xu, T., "Comparison of Implicit and Explicit AUSM‐family Schemes for Compressible Multiphase Flows", International Journal for Numerical Methods in Fluids, Vol. 77, pp. 43-61, (2015). Issa, R., and Kempf, M., "Simulation of Slug Flow in Horizontal and Nearly Horizontal Pipes with the Two-fluid Model", International Journal of Multiphase Flow, Vol. 29, pp. 69-95, (2003). Ansari, M., and Shokri, V., "New Algorithm for the Numerical Simulation of Two-phase Stratified Gas–liquid Flow and its Application for Analyzing the Kelvin–Helmholtz Instability Criterion with Respect to Wavelength Effect", Nuclear Engineering and Design, Vol. 237, pp. 2302-2310, (2007). Bonizzi, M., and Issa, R., "A Model for Simulating Gas Bubble Entrainment in Two-phase Horizontal Slug Flow", International Journal of Multiphase Flow, Vol. 29, pp. 1685-1717, (2003). Bonizzi, M., and Issa, R., "On the Simulation of Three-phase Slug Flow in Nearly Horizontal Pipes using the Multi-fluid Model", International Journal of Multiphase Flow, Vol. 29, pp. 1719-1747, (2003). Carneiro, J., and Nieckele, A., “Investigation of Slug Flow Characteristics in Inclined Pipelines”, Computational Methods in Multiphase Flow IV, Vol. 56, pp. 185, (2007). Emamzadeh, M., and Issa, R. I., "One-dimensional Model for Numerical Simulation of Annular Flow in Horizontal and Vertical Pipes", Multiphase Science and Technology, Vol. 25, pp. 25-56, (2013). 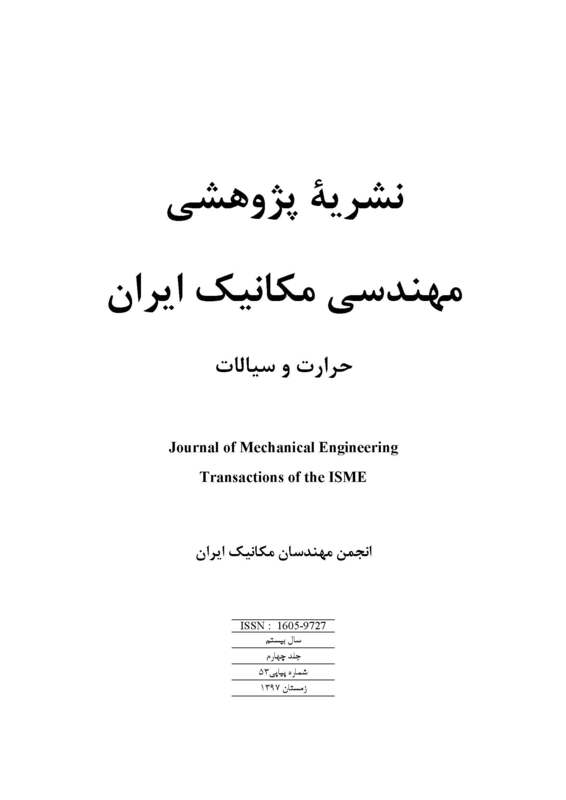 Emamzadeh, M., and Issa, R. I., "A Model for Predicting the Transition Between Stratified and Annular Flow in Horizontal Pipes", Multiphase Science and Technology, Vol. 25, pp. 79-100,(2013). Issa, R., Castagna, J., and Sheikh, A., "Accurate Simulation of Intermittent/Slug Flow in Oil and Gas Pipelines", In: Proceeding 15th International Conference on Multiphase Production Technology, pp. 28, Cannes, France, (2011). Munkejord, S. T., "Analysis of the Two-fluid Model and the Drift-flux Model for Numerical Calculation of Two-phase Flow", Ph.D. Thesis, Department of Energy and Process Engineering, Norwegian University of Science and Technology, Trondheim, Norway, (2006). Baer, M., and Nunziato, J., "A Two-phase Mixture Theory for the Deflagration-to-Detonation Transition (DDT) in Reactive Granular Materials", International Journal of Multiphase Flow, Vol. 12, pp. 861-889, (1986). Lallemand, M. H., Chinnayya, A., and Le Metayer, O., "Pressure Relaxation Procedures for Multiphase Compressible Flows", International Journal for Numerical Methods in Fluids, Vol. 49, pp. 1-56, (2005). Ishii, M., and Mishima, K., "Two-fluid Model and Hydrodynamic Constitutive Relations", Nuclear Engineering and Design, Vol. 82, pp. 107-126, (1984). Cortes, J., Debussche, A., and Toumi, I., "A Density Perturbation Method to Study the Eigenstructure of Two-phase Flow Equation Systems", Journal of Computational Physics, Vol. 147, pp. 463-484, (1998). Montini, M., "Closure Relations of the One-dimensional Two-fluid Model for the Simulation of Slug Flows", Ph.D. Thesis, Department of Mechanical Engineering, Imperial College London, London, (2011). Taitel, Y., and Dukler, A., "A Model for Predicting Flow Regime Transitions in Horizontal and Near Horizontal Gas‐liquid Flow", AIChE Journal, Vol. 22, pp. 47-55, (1976). Toro, E. F., "Riemann Solvers and Numerical Methods for Fluid Dynamics: A Practical Introduction", 3rd Edition,Springer-Verlag Berlin Heidelberg, Berlin, (2009). Hirsch, H., "Numerical Computation of Internal and External Flows", Computational Methods for Inviscid and Viscous Flows, Vol. 2, pp. 536-556, (1990). Coquel, F., El Amine, K., Godlewski, E., Perthame, B., and Rascle, P., "A Numerical Method using Upwind Schemes for the Resolution of Two-phase Flows", Journal of Computational Physics, Vol. 136, pp. 272-288, (1997). Ransom, V., "Numerical Benchmark Test No. 2.3: Expulsion of Steam by Sub-cooled Water", Multiphase Science and Technology, Vol. 3, pp. 1-4, (1987).